Over 12 million people in Somalia, Ethiopia, Kenya, and Djibouti desperately need nourishment due to a massive drought (the worst in 60 years) in the Horn of Africa. A lack of rain in the region has killed off both crops and livestock creating this drought situation. Tens of thousands of deaths have already been reported. 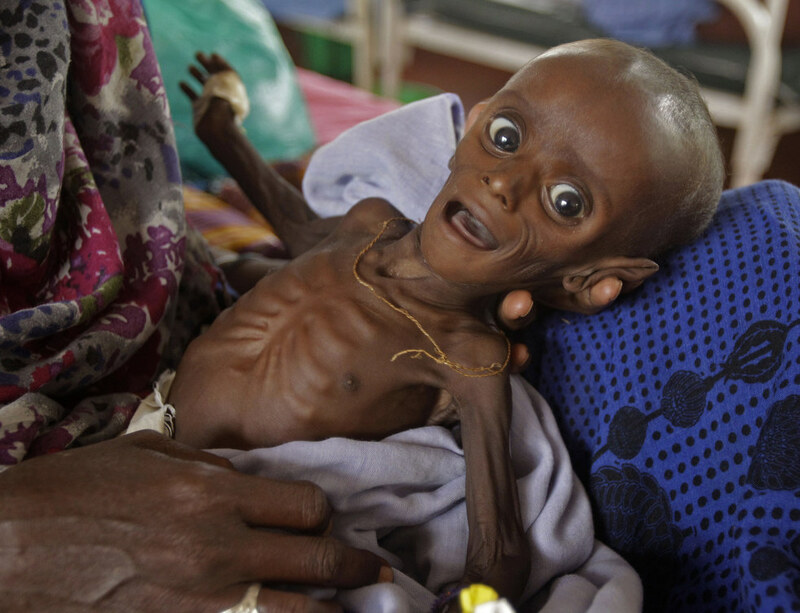 Those who are still alive are severely malnourished. Children have been especially affected, appearing in photographs with sunken cheeks and swollen bellies. The United Nations and several other humanitarian agencies warn that things will continue to worsen unless the international community responds. So far, donations have not been keeping up with needs. The UN warns that donations need to increase in order to keep the famine from spreading. The Federal Government has stated that it will match donations given by Canadian citizens until September 16. He made an appeal to those able both Somali and those in the international community to “give as much as they can” during the Islamic fasting month of Ramadan. Mahiga stated that the UN will continue to do its part. The situation has gotten to this point in part due to the lack of stable central government since 1991. This is the first time since then that the country has seen famine. Plans are currently being made to create some political stability in the region. As the situation has been exacerbated because of the ongoing infighting in the region. Access to the country has also been limited due to the large Al Qaeda presence that controls much of the central and Southern regions. Militants have banned most agencies from entering certain areas. Residents of Canada are also able to quickly donate $5 to the Horn of Africa Relief fund by simply texting the world “AFRICA” to 30333. Visit the Canadian Red Cross to find out more about this.